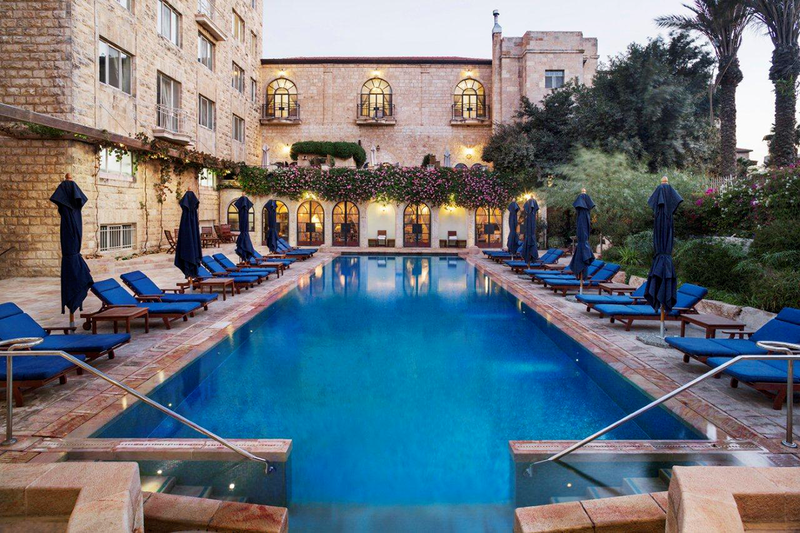 At the seam of East and West Jerusalem, the American Colony Hotel occupies an enviable perch steeped in over a century of history. 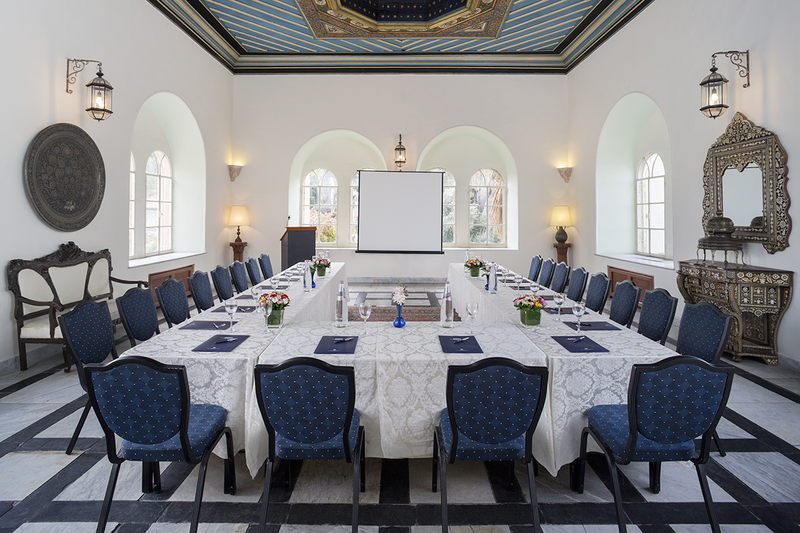 The former palace of a pasha, the historic building was transformed into a Christian charitable community in 1881, and at the request of Baron Ustinov (grandfather of the actor Peter Ustinov), into a hotel in 1902. Since then, it has functioned as a quiet sanctuary behind high stone walls. Interiors are stylish and comfortable, with Oriental rugs, Armenian ceramics and polished stone floors. The idyllic courtyard garden, where T.E. Lawrence and Graham Greene once sat, is a perfect spot to escape the city’s relentless buzz. 2010 Pool Renovation, 2011 long term apartments renovation, 2012 Renovation of Palm House, 2013 Sauna, Gym and Summer Bar additions. 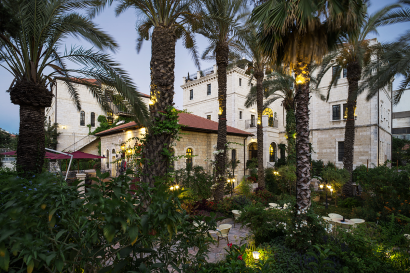 2015 Pasha Hall. History and architecture of the American Colony with own private Archive/Museum. 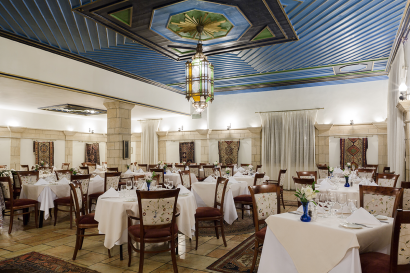 Fine Gourmet and Local Middle Eastern Cuisine. Four distinct gardens each with its own speciality e.g edible, historic, bar setting. The American Colony Hotel is within walking distance of Jerusalem’s major sights and within ten minutes of the Damascus Gate in the Old City. The nearby light-rail can take you to Jerusalem’s modern city center. 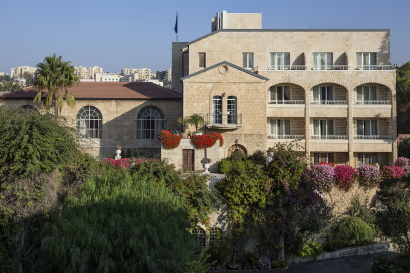 Old City (walking distance), Tower of David, Time Elevator, Rachel Tomb, Israel Museum, Holy Sepulchre Church, Dome of The Rock and the Wailing wall. First hotel in the country. Originated as a commune owned by all its members.Celebs who do not want to be spotted often stay here, try and spot one. Today’s owner are descendants of the original founders and still privately owned. Managed by Swiss management and GM’s for over 30 years. 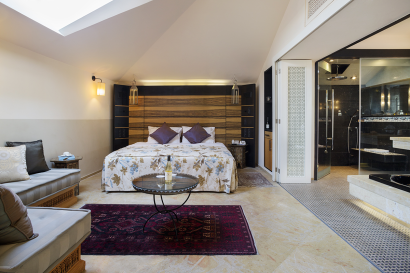 • Suites; located in the Main House, Palm House, East House and Cow Byre, each of these rooms has a spacious sitting area, a large bathroom and a distinct Middle Eastern character all of its own.Room size: 44-62 m2. • Junior Suites ; some with original painted wooden ceilings, three of these rooms were originally summer rooms built by the Pasha for his wives and are in the Main House, opening on to the famous Courtyard: others are in the Palm House and East House.Room size: 38-46 m2. 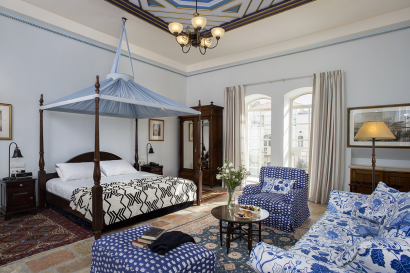 • Deluxe Pasha ; In the Main House, the Pasha built Winter rooms for three of his wives with entrances from the gallery overlooking the pool. Each of these Deluxe Pasha rooms has a private patio. Other Deluxe Pashas are located in the East House, others in the Palm House. Some of the rooms have either a private garden, patio or balcony. Room size: 28-38 m2. 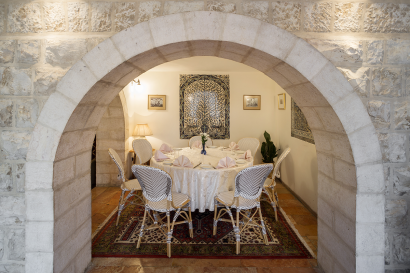 • Classic Pasha; All rooms are meticulously refurbished with all the facilities the modern guest could require whilst respecting the charm and atmosphere of the original building. Available mainly in the Palm House. Room size: 27-35 m2. 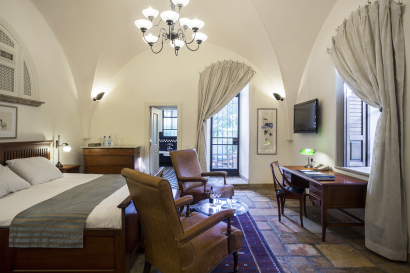 • Superior ; Cozy rooms located primarily in the Main House, but also available in the Cow Byre and the Palm House. 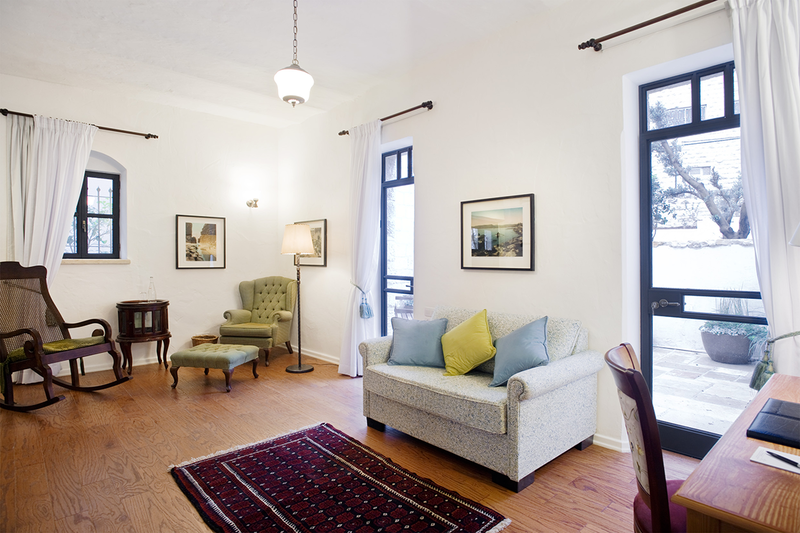 Decorated and furnished to live up to the high expectations of our guests. Room size: 25-32 m2. • Standard; Smaller rooms, furnished with the same care and attention to comfort as the rest of the hotel, located in the Main House, East House, Cow Byre and Palm House. 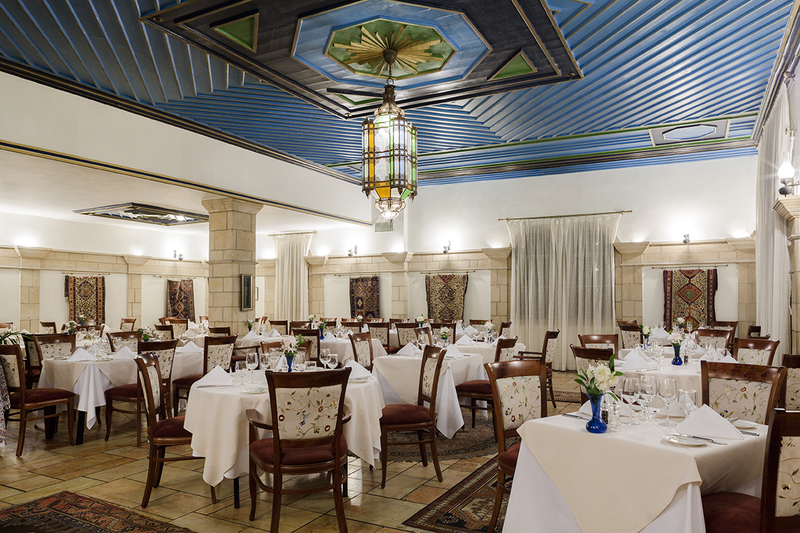 Compact, elegant and comfortable, they provide a great opportunity to enjoy the unique ambience and facilities of the hotel. Room size: 17-25 m2. this is the heart of the American Colony Hotel. This celebrated Courtyard has hosted many a famous guest. 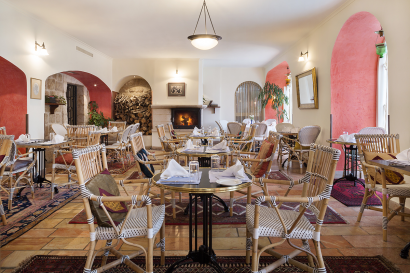 Shaded by tall mulberry trees throughout the summer and cooled by a central fountain, this leafy outdoor restaurant is warmed by the sun on winter days. Open when weather conditions permit, this is the perfect place for breakfast, lunch or dinner. 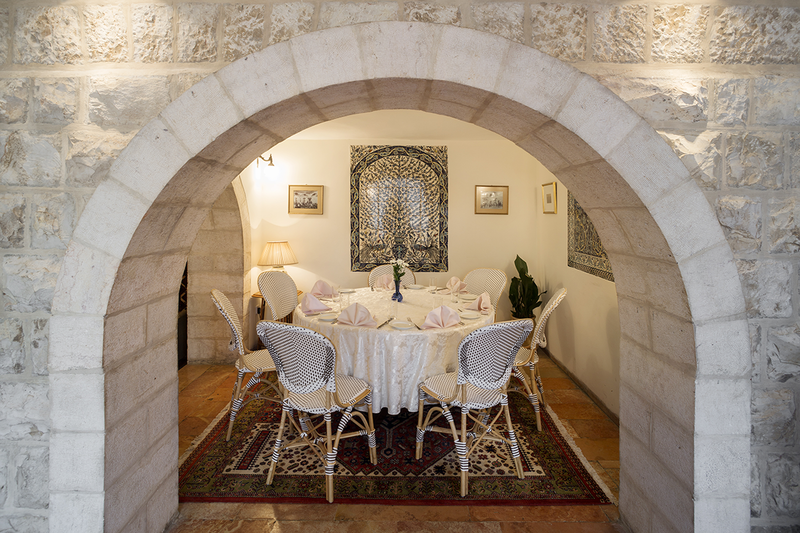 Guests can enjoy favorite local dishes, continental specialties and quick snacks in a cozy and relaxing atmosphere. Afternoon tea, a British classic, is served here daily from 3:00 p.m. – 6:00 p.m. with tea, a variety of sandwiches, scones with strawberry jam and fresh strawberries or English cake. 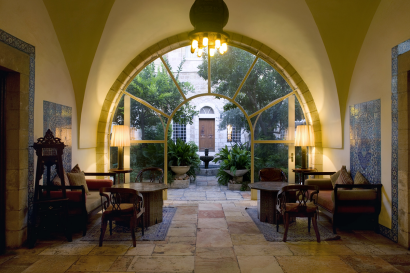 This is Jerusalem’s most enchanting and intimate bar. Floored with ancient pink stone, this legendary bar is a place to unwind for visitors and residents, and a popular meeting place for journalists from across the world. This popular bar and barbecue, open during the summer months, is set in the romantic tranquility of the Palm House garden. Let our friendly, professional bartenders serve you with exotic cocktails, local and imported beer on draft, or wines from our cellar. Try pizzas and focaccia from our newly built wood burning pizza oven.